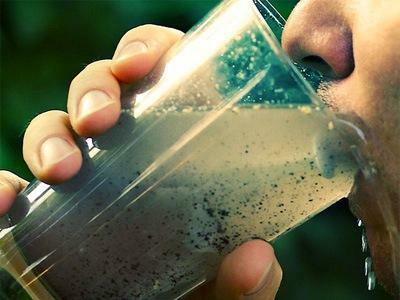 EDITOR'S NOTE - Original story from this morning here: The mayor of Toledo, Ohio, says new tests show that toxins are still in the city's water supply. The readings come two days after 400,000 people in northwestern Ohio and southeastern Michigan were told to avoid drinking tap water. Mayor D. Michael Collins said early Monday that most of the results were acceptable but some concerns remain. Toledo officials issued the water warning in Ohio's fourth-largest city early Saturday after tests revealed the presence of a toxin likely from algae on Lake Erie. The Ohio National Guard and other state agencies have been delivering pallets of bottled water to city and operating water purification systems to make more drinkable water. Michigan Governor Rick Snyder says that state agencies are ready to help state residents and communities that are affected by the toxic contamination of Lake Erie water. Four Monroe County communities use water affected by the water use ban that originated with problems just across the state border in Toledo, Ohio. The Monroe News says 30,000 customers of the South County Water District are affected. They're in Luna Pier, Bedford and Erie townships and a portion of LaSalle Township. Monroe County Emergency Director Mark Hammond says officials are awaiting word from the U.S. Environmental Protection Agency on when the water's safe. Hammond says several fill-up stations are open in the area and the American Red Cross can deliver water to those unable to pick it up.